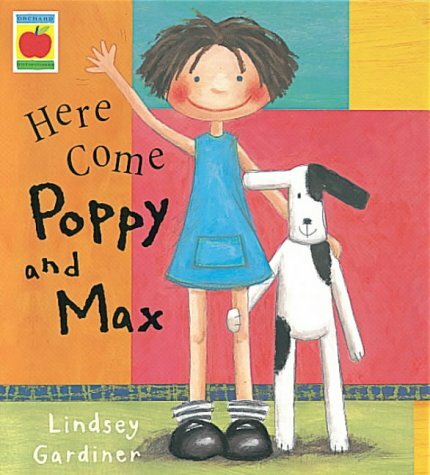 Mop-haired, spindly-legged Poppy and her black and white patched dog Max are the instantly loveable characters in these brightly coloured picture books. In Here Come Poppy and Max, Poppy grins from ear to ear as she and Max mimic their favourite creatures: tiger, giraffe, leopard, and penguin. Each spread has animated text and bold backgrounds whilst the characters leap and waddle about, Poppy's outfits matching the creature she is imitating. My five-year-old daughter was bouncing up and down on the bed as Poppy and Max became kangaroos. 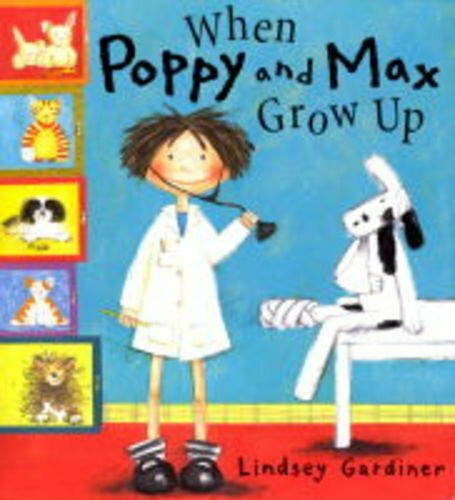 When Poppy and Max Grow Up is a delightful follow up, dealing with a youngster's fantasy about what she will do in adulthood; be a popstar, go deep sea diving, be ballet dancer, footballer or vet. The love between child and dog is evident in every vibrantly crafted illustration, culminating in the assertion that 'right now Poppy has the best job in the world ... looking after Max.' The use of rich oil pastels or acrylic paints is masterful.